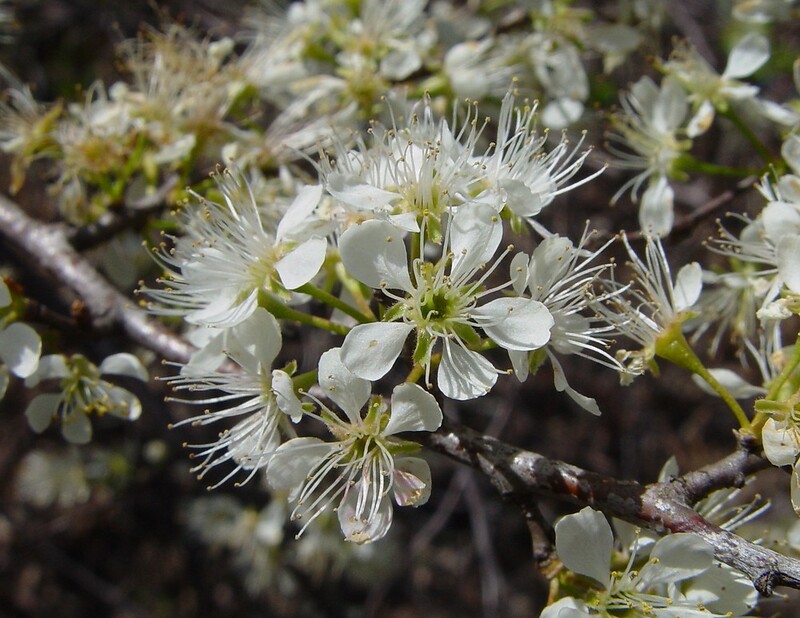 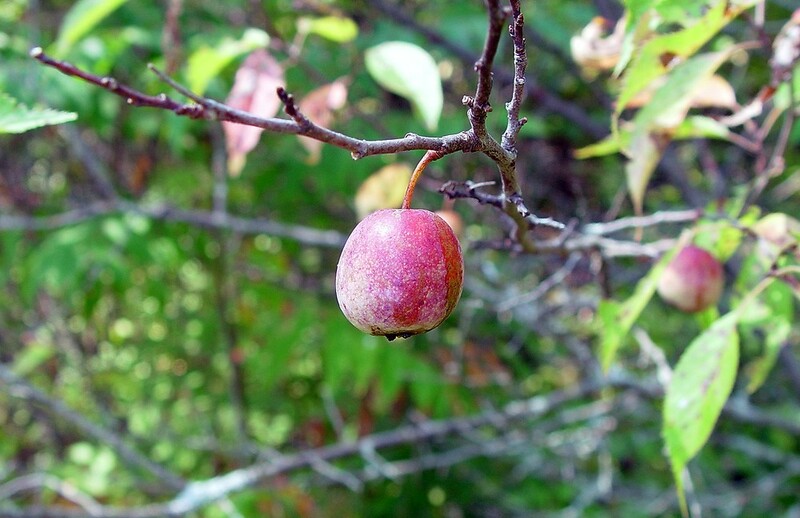 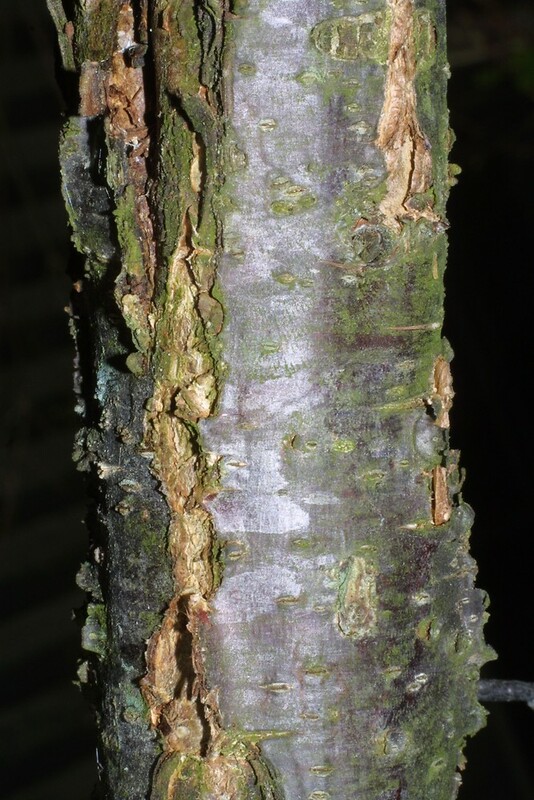 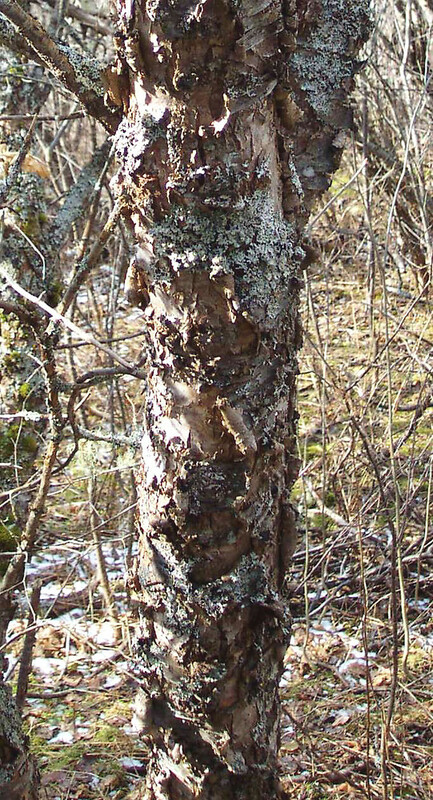 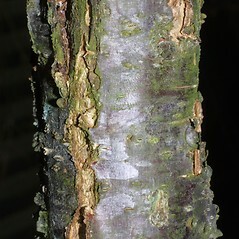 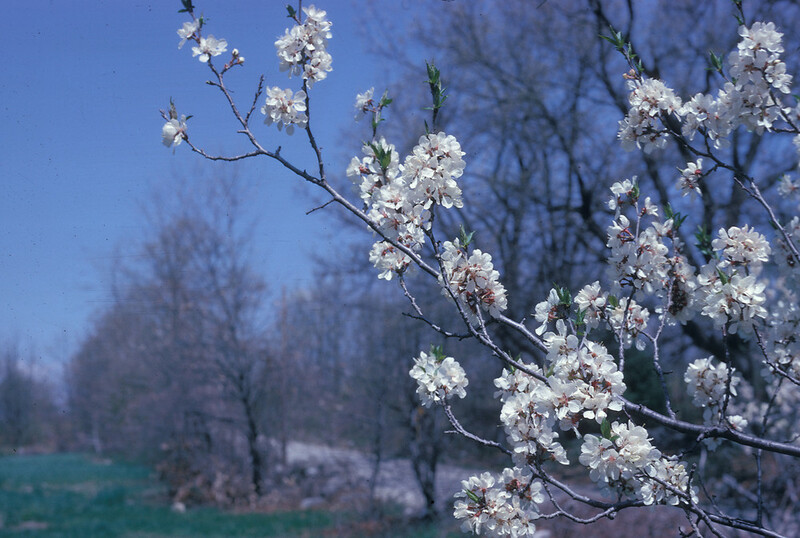 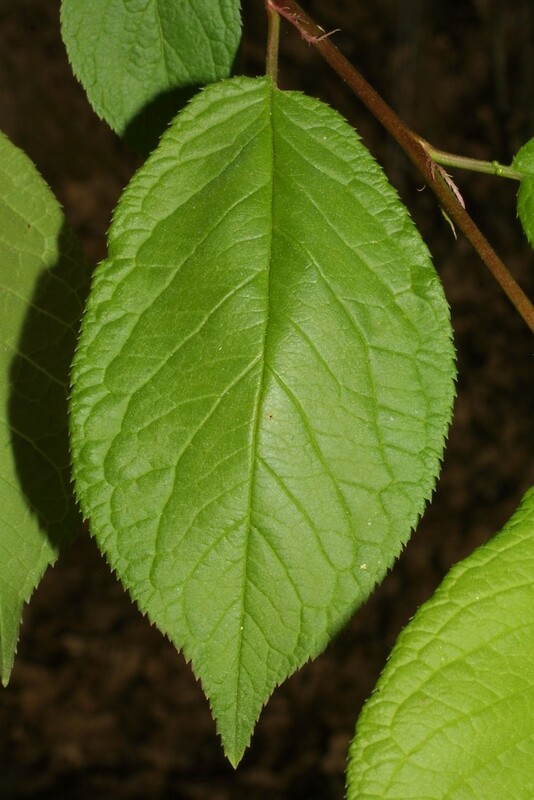 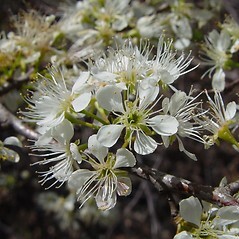 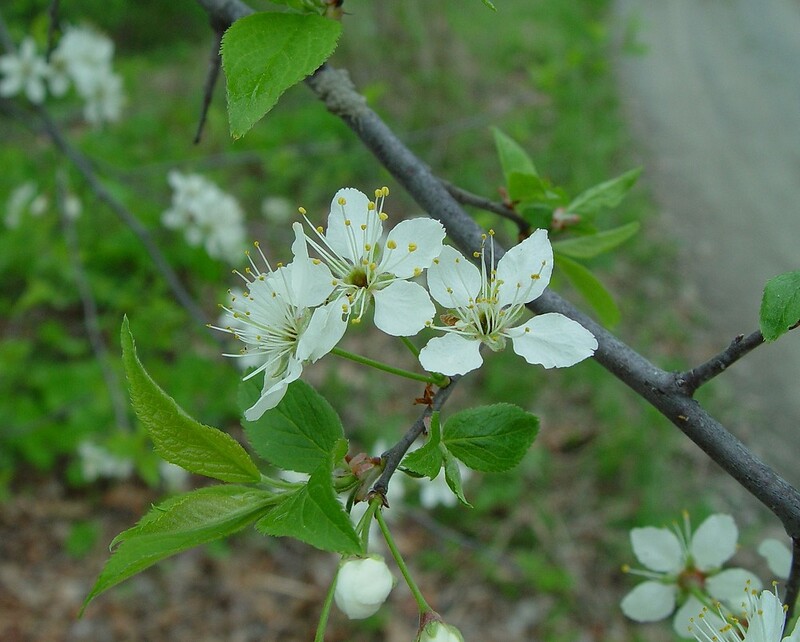 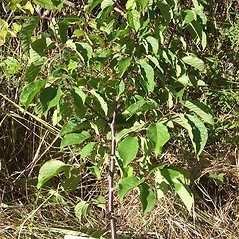 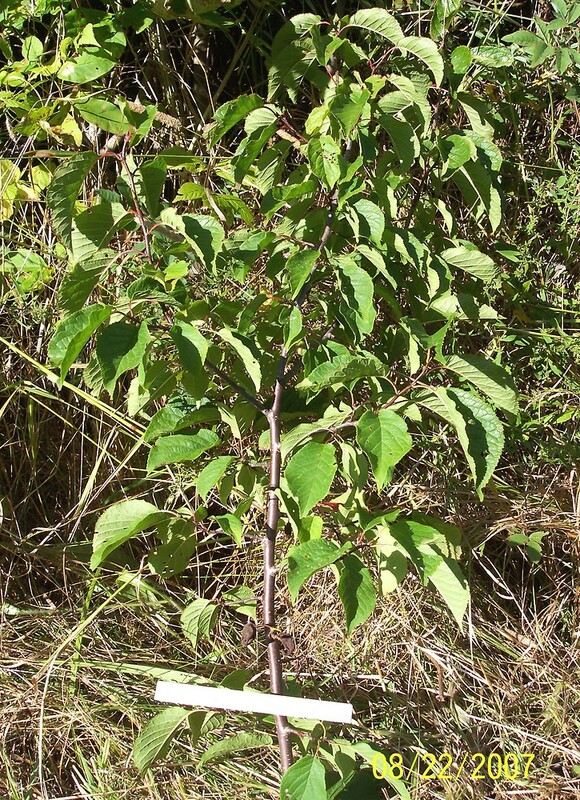 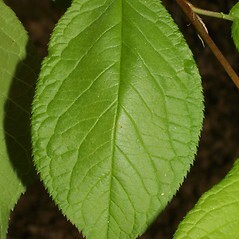 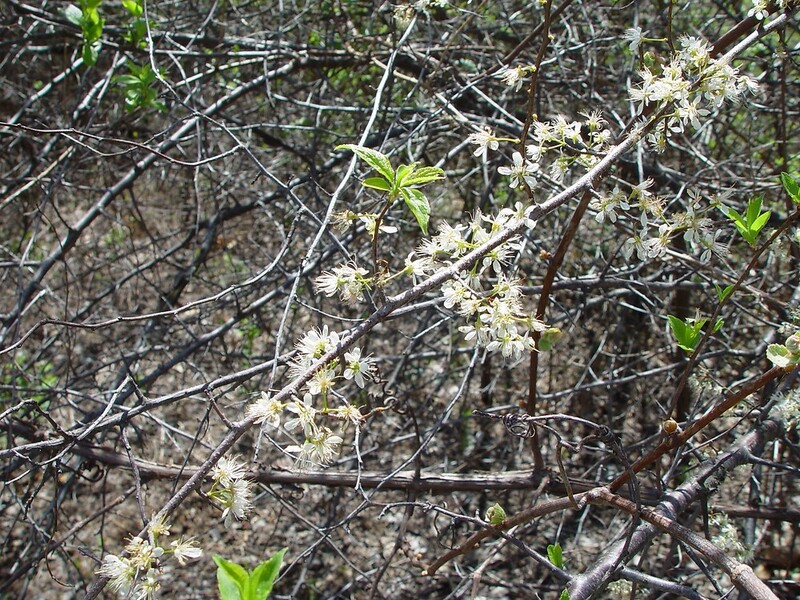 American plum is a multi-trunked tall shrub or small tree that has expanded its range through planting even as its wild range may be declining (it is listed as Threatened in Vermont and New Hampshire). 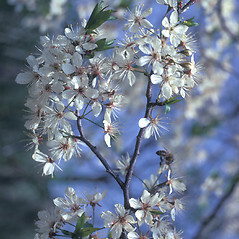 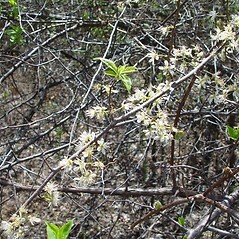 Its unpleasant-smelling but showy white flowers mature into edible red plums in mid-summer. 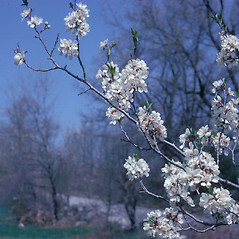 The plums of this tree are small and less juicy than the cultivated plum, but useful for jellies. 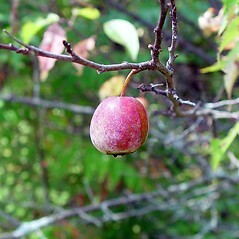 Birds also eat the fruits. 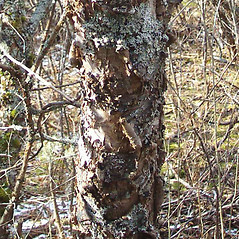 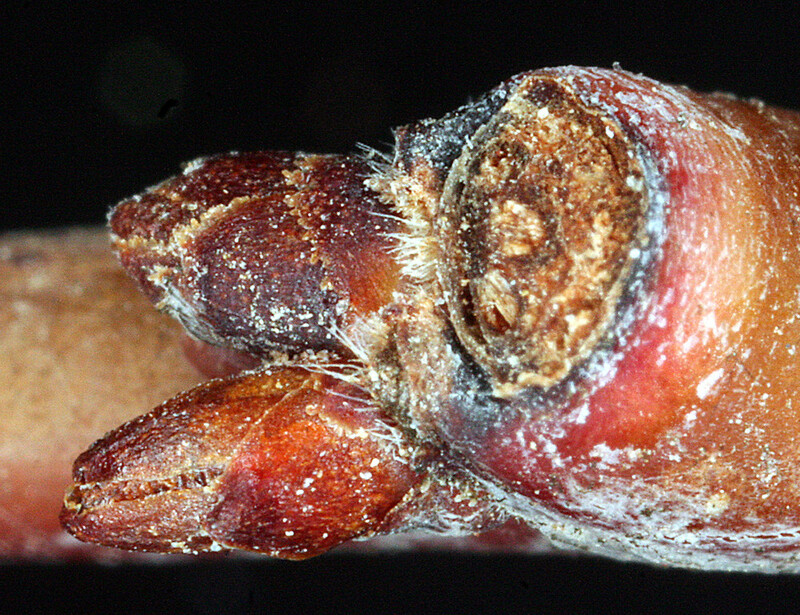 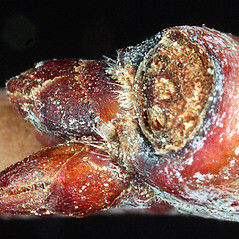 Its tendency to sucker and form colonies makes this species useful for planting as screens and borders. 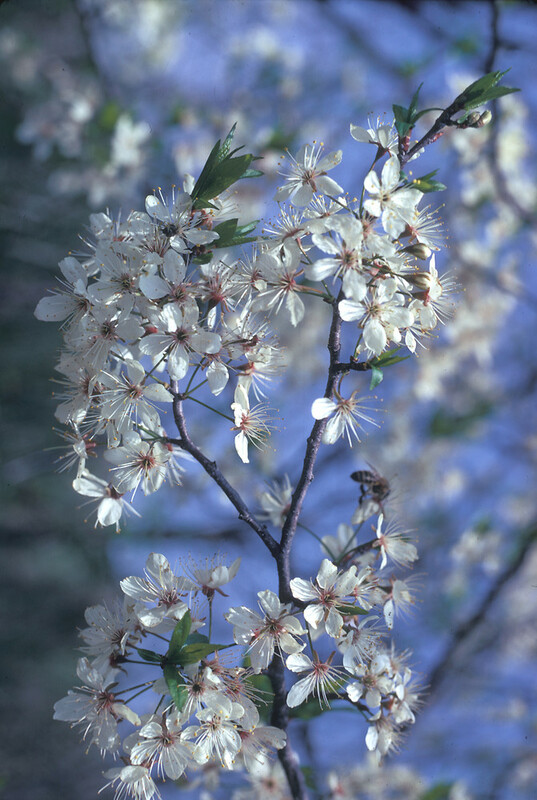 petals 3-8 mm long and fruit blue-purple to purple-black (vs. P. americana, with petals 7-12 mm long and fruit red to yellow). 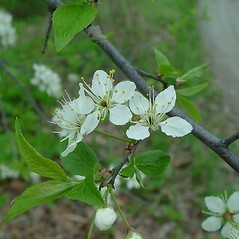 American plum. 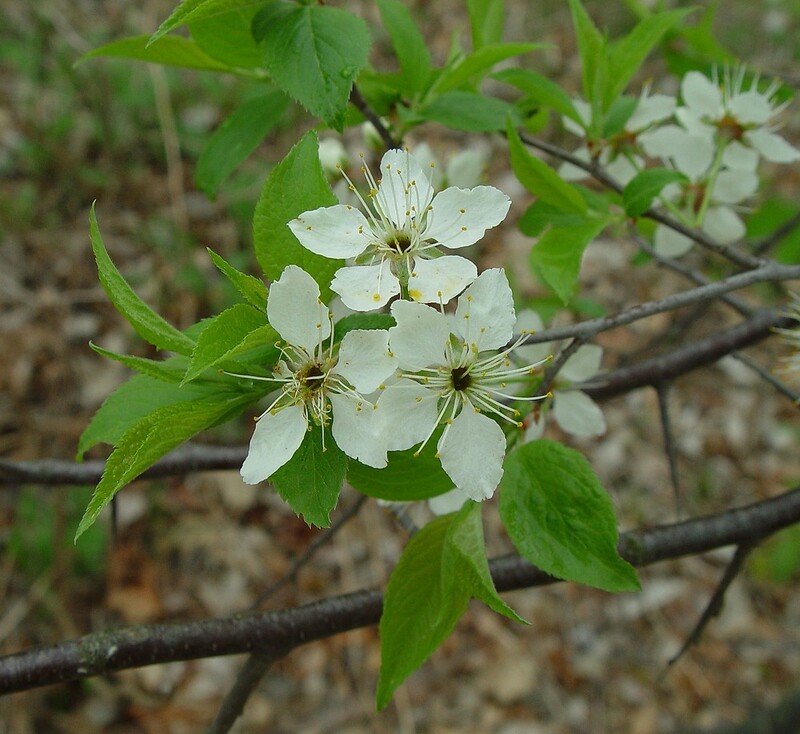 CT, MA, ME, NH, RI, VT. Successional fields, forest borders and fragments, roadsides. 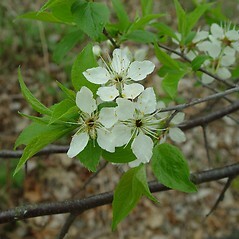 Native, in part, to much of CT, the western counties of MA, to RI, and to VT, introduced elsewhere.